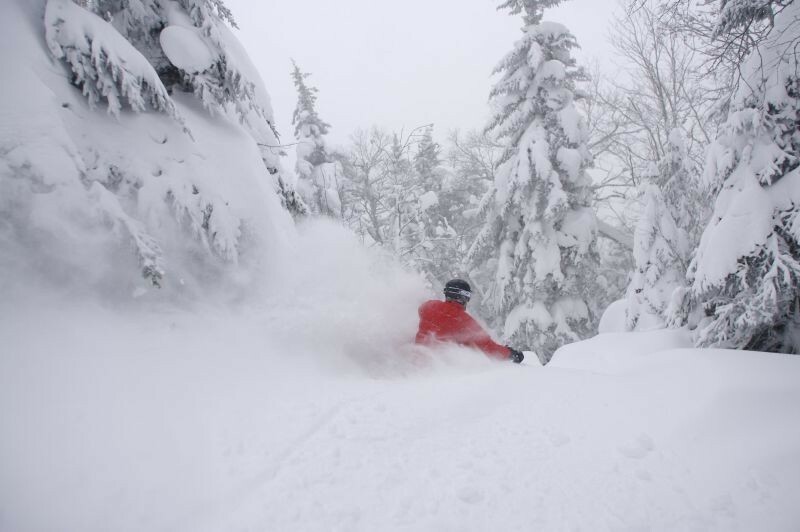 Jay Peak Resort, located on Jay Peak in Vermont’s Green Mountains, is home to some of the East’s best terrain providing skiers and riders with amazing tree glades, long groomed trails, and abundant natural snowfall. The resort lies just south of the Canadian border near the town of Jay, Vermont. At Jay Peak, there is a great mix of beginner to advanced trails connected by an updated chairlift system. The ski area contains a large snow making infrastructure able to cover a majority of the resort. Jay Peak's boundary-to-boundary woods policy makes it a favorite among advanced skiers and riders but the glades aren't for experts only. The mountain also has the most beginner and intermediate tree skiing in the East. If you're a beginner be sure to check out "The Zone," Jay Peak's learning area, which features 80 acres of wide, gentle terrain and introductory glades. Jay Peak is known for its amazing terrain located in and around the ski area. The resort is lenient with expert skiers and riders and allows for out-of-bounds access to some amazing backcountry skiing and riding. The terrain might be great but also potentially dangerous that requires proper equipment, knowledge and a ride back to the resort. Jay Peak Resort is a year-round mountain destination that features an indoor water park, ice arena, golf course and more. The resort offers guest a wide range of lodging, shopping and dining options. The towns and communities that surround Jay Peak are quaint and unique with boutique shops and friendly locals. Jay Peak Has Terrain Parks?